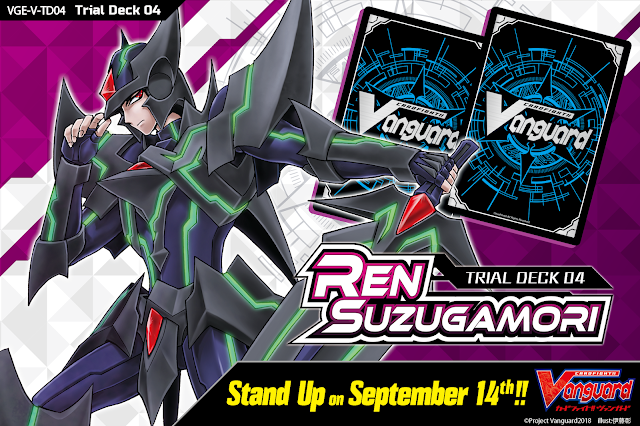 The official English Cardfight portal updated today with information on the English versions of V-Trial Deck 04: Suzugamori Ren and V-Booster Set 02: Strongest! Team AL4. 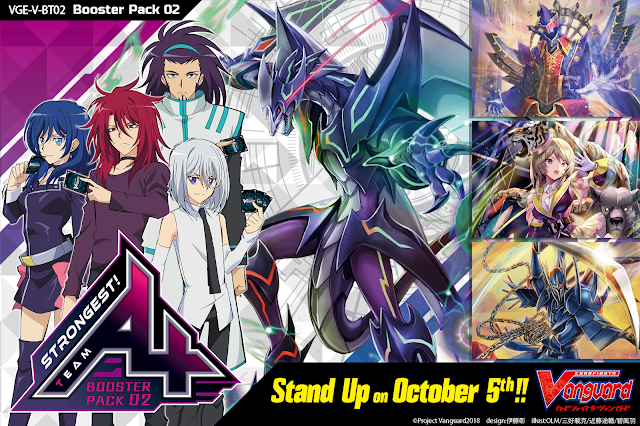 While the Japanese TD04 will launch August 10th in the Japan and and BT02 will go on sale August 31st, in the United States the fourth Trial Deck will launch September 14th and its corresponding Booster Set October 5th. This puts both the Trial Deck and Booster Set launches approximately one month apart. V-TD02 features the first support for the Shadow Paladin clan in the Standard format, while V-BT02 contains cards for the Shadow Paladin, Dark Irregulars, Pale Moon, and Murakumo clans, used by the members of Team Foo Fighter AL4 in the manga and 2018 "Origin" anime series.